On Monday, CNN called on a federal court to hold emergency proceedings — this after the White House said it would again revoke press access to correspondent Jim Acosta despite a temporary restraining order on Friday to reinstate him. 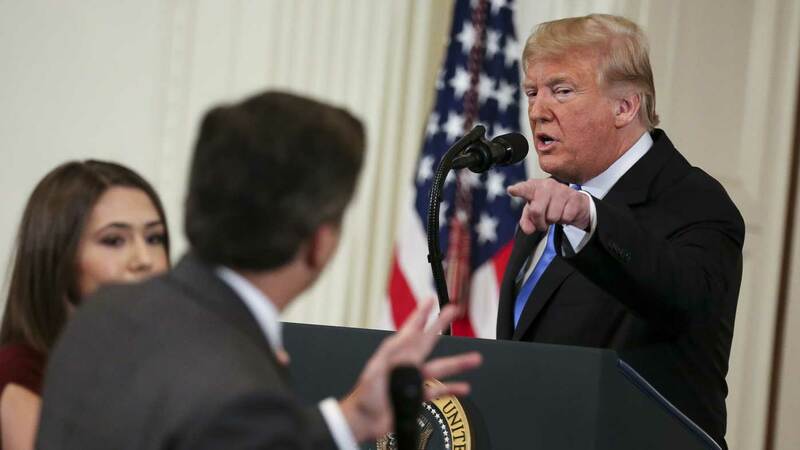 Acosta’s credentials were revoked after Trump denounced him as a “rude, terrible person” during a Nov. 7 news conference. CNN challenged the move in court and on Friday won a ruling that temporarily reinstated Acosta. In a filing on Monday, CNN and Acosta asked for an expedited hearing next week after top White House communications officials told Acosta in a letter late on Friday that it had already decided to suspend his press once the two-week restraining order expires.